Wish you knew how to fold a shirt in a way that lets you store 10-20 more shirts in the same space required to hang 10? 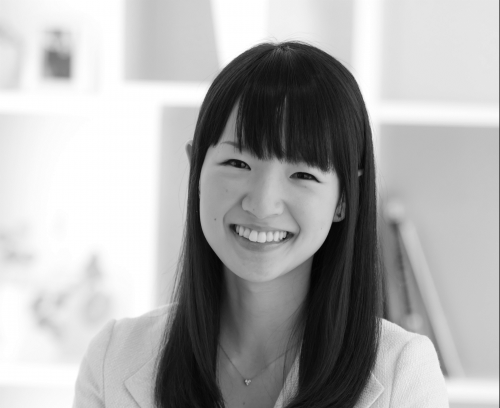 Learn the best way to fold shirts from none other than Marie Kondo, the inventor of the magical KonMari method of organizing who also just so happens to be the most organized person on the entire planet. On page 68 of Marie Kondo’s new book Spark Joy, Kondo writes that “Folding works best if you approach it like origami.” Which means after each fold, be sure to smooth your palm over your shirt before going on to the next fold. This helps your shirt keep its shape longterm and makes it so that you can store your shirt upright and save space. Fold one side of the shirt across the center. Fold the opposite side of the shirt the same way, stopping a little before the edge, to form a rectangle. Fold the rectangle in half lengthwise to reinforce the shirt’s shape. Fold the shirt again in half or in thirds. For an extra long shirt, you might have to fold it four or five times. Stand the folded shirt upright on a table. If your shirt stays standing, congrats! 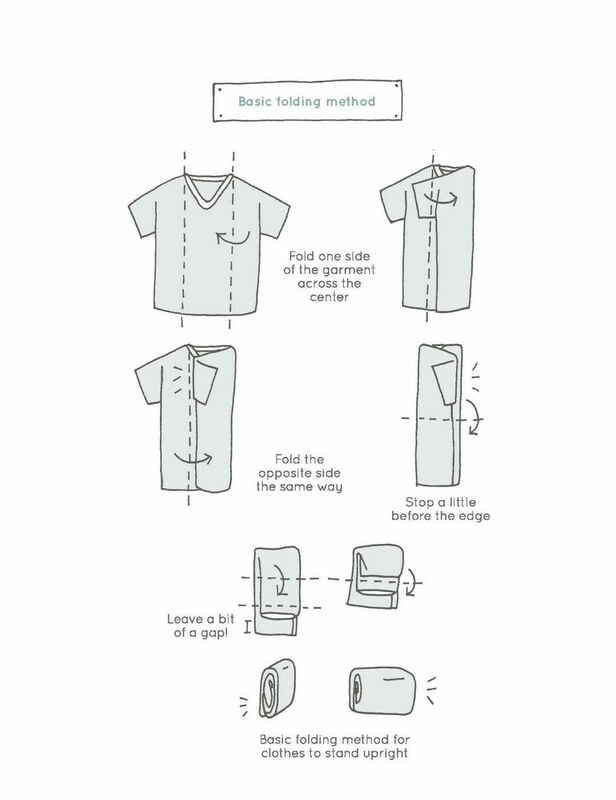 You just mastered the KonMari method of folding shirts. But you’re not done yet. You still have to put your shirt away. Store the shirt standing upright in a drawer, or effortlessly store it in MakeSpace, and then repeat the process with your other shirts. To fold a long-sleeve shirt, fold its edges toward the center to make a rectangle, just like how we showed you to fold a short-sleeve shirt. And remember, smooth each fold with your palm before moving to the next fold. The key to shirt-folding success: Fold the long sleeve all the way over to the opposite edge, and then fold it down toward the bottom while following the line of the shirt. Try your best to avoid making the sleeves overlap each other, which would only make the shirt take up more space than necessary. 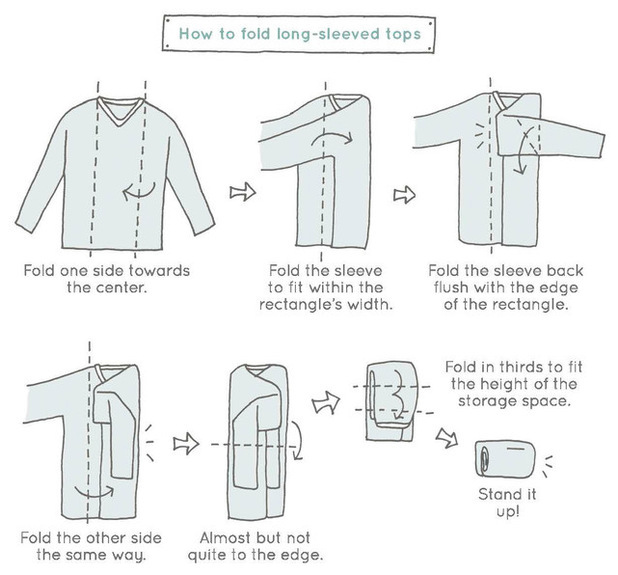 Ready to see the KonMari method of folding a long-sleeve shirt in action? 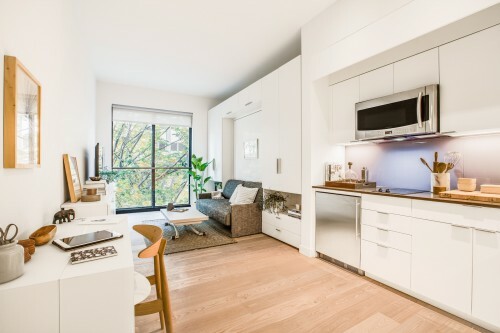 Bonus: While knowing how to fold a shirt like Marie Kondo is great and all, nothing beats knowing how to organize everything in your entire home. Download our new KonMari Cheat Sheet!